Set of 4 18" OEM - A6 wheels with Audi center caps included. They have about 5,000 miles on them. Make me an offer, you'll be surprised how reasonable I am. OH- also willing to ship at buyers cost. Local pick up in DFW preferred although I realize unlikely. 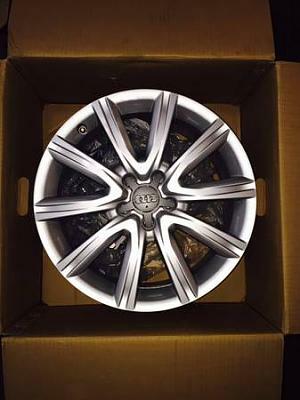 AudiUSAParts.com | 73% OFF NEW 4 WHEELS for A3 2015!!! !